Hello everyone. Hope all of you have a great Thanksgiving today! I’m sitting at my desk writing this article while my wife is in the kitchen finishing up a pie and my girls are watching the Macy’s Parade. We’ve got the big meal planned for four this afternoon. Before I enjoy all of that pie and turkey I wanted to do a short article. It was announced yesterday from the EPA that a series of settlements had been reached with seven different companies on R-717 Ammonia non-compliance. These settlements were split between seven companies in New England and totaled nearly six-hundred thousand dollars in fines and over seven-hundred and fifty-thousand dollars in compliance. Two of these settlements were issued after an ammonia leak had already occurred and the other five were taken as preventative measures. These inspections and fines from the EPA come as part of the EPA’s National Compliance Initiative on reducing chemical accidents.The actual EPA announcement can be found by clicking here, but it looks like these companies either did not have a proper risk management plan laid out or they missed submitting an annual notification to local authorities that their company was using Ammonia as a refrigerant. Over the years of running RefrigerantHQ I’ve had mixed feelings on using Ammonia refrigerant. Yes, it is one of the most efficient refrigerants available today, it has zero Ozone depletion potential, and it has a Global Warming Potential of zero. It seems like the perfect choice for refrigerant applications. The catch is that it is rated as B2L by ASHRAE. So, R-717 is mildly flammable but the primary concern is the toxicity. If Ammonia is not handled correctly, or maintained correctly, tragedy can occur. Last year there were three fatalities that occurred due to an Ammonia leak at an ice rink up in Canada. Along with the deaths that occurred a large area around the ice rink had to be evacuated. It can be very dangerous. All that being said, if handled correctly and maintained properly Ammonia refrigerant can save your business money by it’s efficiency and also ensure the longevity of your refrigerant systems as there are not any future plans to phase down R-717 due to it being so environmentally friendly. The responsibilities of maintenance and proper care of Ammonia systems should be left to the business owners but there are many who are negligent or who are just not aware of the dangers. This is where the EPA’s enforcement, fines, and compliance laws come into play. The problem is the EPA can’t do it all and there will be future leak incidents. The good news is that most of these Ammonia leaks are handled rather smoothly. Ammonia will be here for quite a while and as the years pass by and the R-22 systems age and age we may find more and more business owners transitioning over to R-717 systems over newer HFC or HFO alternatives. Say what you want about Ammonia, it has definitely stood the test of time and will be around for many more decades to come. Every time I see a story like this I find my stances on Ammonia and R-717 use shifting and shifting. If you were to ask me a few years back what I thought about Ammonia being used in refrigerant applications I would have said that I’m all for it. After all, it is one of the most energy efficient refrigerants out there. But now, as I have come across story after story about Ammonia leaking due to an accident, a fire, or poor maintenance my faith in the proper use of this has waned. When Ammonia refrigerant does leak it is a big deal. It is not like an R-22 leak. Sure, with R-22 you’re releasing Chlorine into the atmosphere and potentially damaging the Ozone but no one around is in immediate danger. (As long as you are in a ventilated area.) Ammonia, or R-717, is toxic. That means if breathed in it can be deadly. The repercussions of mistakes or poor maintenance can affect a lot of people. On April 18th, 2018 in the city of Dawson, Georgia there was yet another refrigerant Ammonia leak. This time it occurred at the Tyson Chicken processing plant. While it is difficult to find the exact specifics as to what happened what I have gathered is that somehow the Ammonia leaked and ignited not only causing it to be air born but also causing a fire. Firefighters were able to contain the fire and the leak. The Tyson plant is shutdown all of this week and some of next while the cause can be investigated and the damage can be repaired. In this instance luckily, there were no fatalities or injuries were reported. However, just like with other Ammonia leaks many buildings were evacuated and nearby schools didn’t even hold classes on the 19th due to precautions. I’m always puzzled how this happens. How are their schools this close to an industrial plant? Take a look at the picture below to see just how close they are. Who is in charge of city planning there? One of these buildings had to come first. As I mentioned above my confidence in Ammonia refrigeration has lessened as of late. My concern is not about the performance or cost of R-717 but over the safety to those working at the facilities and those living around them. Let’s take a quick look at some of the Ammonia refrigerant events that have happened within just the past six months. I’m sure this isn’t all of them but this should give us an idea of the actual danger that comes with using Ammonia. Last fall in a small town in British Columbia, Canada an Ammonia leak occurred at a local Ice Rink. This leak did not go well and at the end of it there were three fatalities. Since this happened there has been a lot of pressure and oversight on Ammonia refrigeration systems. Inspections have stepped up and some business owners have begun looking at alternative refrigerants so that they can move away from R-717. This story can be found by clicking here. 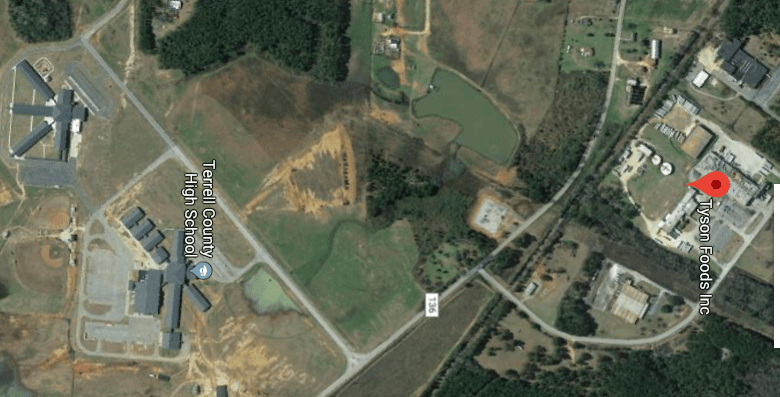 Another incident that occurred less than a month ago was at a meat processing plant in South Carolina. In this example there were no injuries or fatalities but nearby citizens were awoken by police alerts at two in the morning. Not a fun way to wake up. This story can be found by clicking here. I’ve said it before in other articles and I’ll say it again here folks. I believe we need to stop using hazardous or toxic refrigerants such as R-717. Yes, I know that it is one of the most energy efficient refrigerants out there but let me ask you is it really worth it? Or, should we begin moving towards alternative refrigerants that are still climate friendly but that do not have the risk that comes with toxic refrigerants such as Ammonia. If the argument is climate over safety then I’m going to side with safety. When I first started writing articles about R-717 Ammonia being used in ice rinks and in industrial refrigeration I tried to keep an open mind. However, over the past year or so I have become less and less confident with R-717 systems. I try to make my articles unbiased and to show the Pros and Cons to both sides but this is proving more difficult with R-717. Maybe I need some of you to re-convince me to the benefits of this refrigerant but as of today I am very skeptical of it’s practical applications. Ammonia has been used as a refrigerant for nearly ninety years. While the applications have varied over the years it has always been around. It is highly regarded as the most efficient refrigerant available due to it’s low boiling point. To give an example R-717’s boiling point is -28 degrees Fahrenheit. While R-22’s boiling point is -41.62 degrees Fahrenheit and R-410A’s boiling point is -55.3 degrees Fahrenheit. Compare R-717 and R-22 and that’s a forty-eight percent difference in boiling point. Along with that low boiling point you also get no Ozone depletion and a very low Global Warming Potential. I can see why this refrigerant is used but we have to be aware of the downsides. R-717 is toxic and is also slightly flammable. It is rated as a B2L from the ASHRAE group. 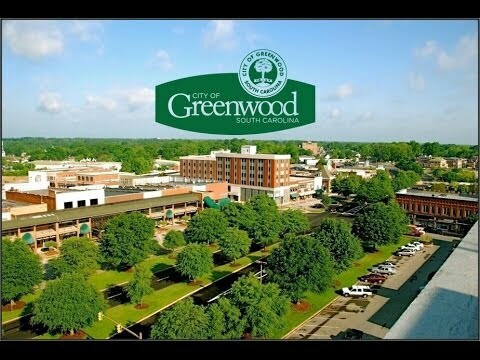 Today, March 25th, the Department of Health and Human Services is on the scene of an Ammonia leak in Greenwood, South Carolina. Upon finding the leak and determining how large it was a half-mile radius was evacuated for precaution. Local citizens were awoken by police alerts on their phone and at their door to evacuate the area at two this morning. Later that morning police and firefighters walked through the affected areas taking samples to ensure that the air quality had returned to normal. The all clear was given this morning as well. Luckily, this leak was handled correctly. Luckily, with this leak in South Carolina there were no fatalities. However, this latest incident was very familiar to a leak at an ice rink that occurred in Canada towards the end of 2017. A leak occurred and a large radius was evacuated just like in today’s story. The difference though was that proper precautions were not taken in Canada and it resulted in three fatalities. This tragic event has caused a lot of business owners and contractors to reconsider using Ammonia in future applications. I wrote a story about this event that can be found by clicking here. While today’s event ended well and with no injuries I still am quite skeptical on the reasonable application of R-717. If this stuff leaks, which all systems will at some point, then disaster can occur. Today Ammonia seems to have a monopoly on industrial refrigeration and a fair slice of the market on ice rinks especially over in the European Union. Here’s the thing though, even with it’s danger and risk to public safety the R-717 market isn’t expected to shrink over the next few years. In fact, just the opposite. With all of the pressure around the world to phase out or phase down Ozone depleting or high Global Warming Potential refrigerants the industry has only two options to turn two: HFO refrigerants from Chemours and Honeywell or Hydrocarbons such as Ammonia. The question on my mind folks is when does saving the environment become more important then safety? Should we keep switching units over to Ammonia in an effort to reduce Global Warming, or should we begin switching to HFC alternatives until a more suitable refrigerant that provides low GWP and is non-toxic arrives into the market place? I looked through Honeywell and Chemour’s website going over their Solstice and Opteon HFO lines but I did not see anything specifically referencing industrial applications. I’m wondering if the rush to find an alternative to R-717 is on the back burner because it doesn’t actually affect the climate whereas all of the other HFC refrigerants are affecting Global Warming. So, again, I feel like safety is taking a backseat to Global Warming.